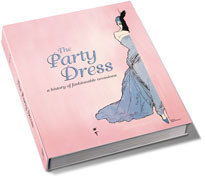 With more than 200 beautiful images and illustrations drawn from archives, designers and fashion photographers, this lavish 336-page volume pays homage to the art of dressing up to party, but also traces the history of the party itself with its protocols and dress. The book unfolds according to the following key party categories: Black-Tie Party Costume Party Cocktail Party Garden Party Wedding Party. Each chapter explains the origins and dress codes associated with each type of party, using historical accounts, anecdotes, cultural analysis and a mix of outstanding archival and contemporary images. Highlights include: The glittering 18th-century balls held by Georgiana Duchess of Devonshire, at which fashions were set for the season and political strategies mapped out; The Jubilee Ball of 1897 held by a later Duchess of Devonshire. The party began at 10.30pm and continued through till late morning, guests parading in royal costumes of the 16th century created by French couturiers; Truman Capote's Black and White Ball held at the Grand Ballroom of the Plaza Hotel in 1966 was the social pinnacle of that decade and said to be the most glamourous party ever held in America. Mia Farrow in long white gloves and butterfly mask arrived on the arm of Frank Sinatra, and Lauren Bacall in a white satin gown glided across the dance floor.